Was Alexander Hamilton a classmate of Jonathan Dayton and Brockholst Livingston at Elizabethtown Academy? According to John C. Hamilton, Alexander Hamilton at Elizabethtown Academy studied alongside “Jonathan Dayton, afterwards speaker of the House of Representatives; Brockholst Livingston, subsequently a judge of the Supreme Court of the United States, and others who became of note.”* However, Henry Brockholst Livingston, or Brockholst Livingston as he was known to differentiate him from his cousin Henry Livingston, could not have been Hamilton’s schoolmate at Elizabethtown Academy in 1772–73 because he attended the College of New Jersey at Princeton from 1770 to 1774. ** Jonathan Dayton, son of Elias Dayton, probably was not a classmate of Hamilton at Elizabethtown Academy either. Dayton graduated from the College of New Jersey in 1776. *** If he attended college for the normal four years, and there is no evidence to suggest otherwise, he would have already left Elizabethtown Academy by the time Hamilton arrived. * John C. Hamilton, History of the Republic 1:45. 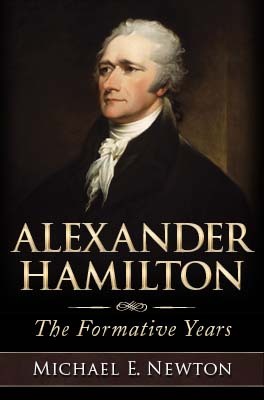 See also John C. Hamilton, The Life of Alexander Hamilton 1:8. ** Henry Brockholst Livingston enrolled at the College of New Jersey at Princeton in 1770 and won a “premium” at the September 1771 commencement for “Extempore Exercises in the Latin language” (The Pennsylvania Gazette, October 3, 1771; The Pennsylvania Journal; and the Weekly Advertiser, October 3, 1771; The New-York Journal; or, The General Advertiser, October 3, 1771; The New-York Gazette; and the Weekly Mercury, October 7, 1771; The Boston Evening-Post, October 14, 1771). He graduated in September 1774 and delivered an “English oration on Liberty” at the “Public Commencement” (The Pennsylvania Journal; and the Weekly Advertiser, October 12, 1774; The New-York Journal; or, The General Advertiser, October 20, 1774; The New-York Gazette; and the Weekly Mercury, October 24, 1774). *** Hatfield, History of Elizabeth, New Jersey 662–663.